they say that snow is heading to DC. i am prepped and ready for whatever comes at us. never can go wrong with hunter boots and a big comfy scarf to keep the wind chill and snow out. i hope everyone has a great/safe weekend. Love this look! 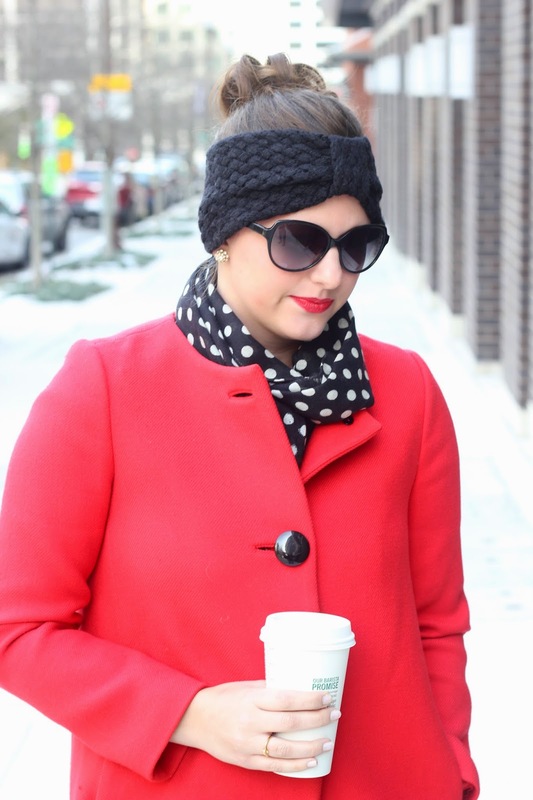 The polka dot scarf and the red coat are perfect together! Gorgeous! Love the polka dot scarf and coat together! 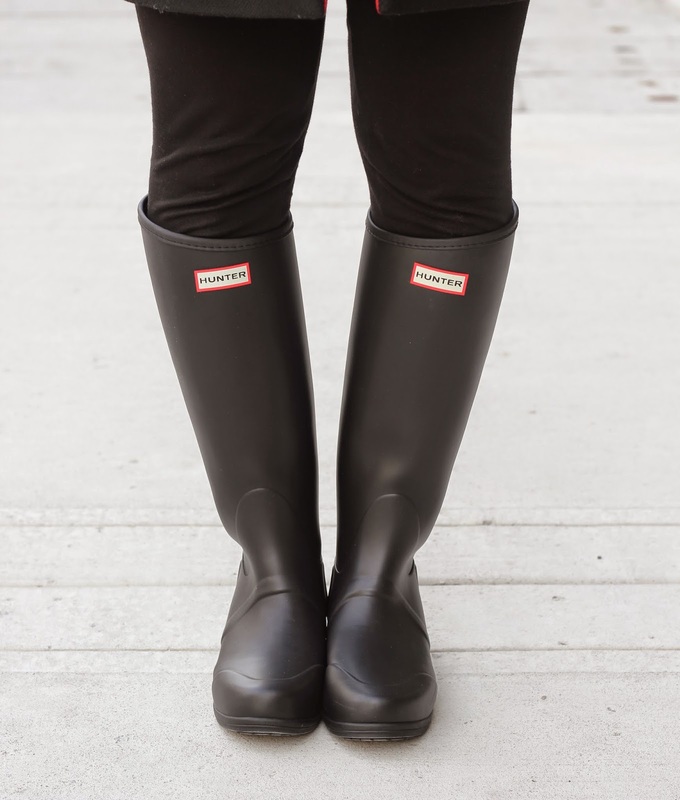 Great color combo girl, and I've been on the lookout for some Hunter boots, they look great on you! Absolutely love your coat! You look great! you look pretty! i love the headband! love the coat…very very nice color. super feminine! Love this look! That coat is incredible and I love it paired with the boots. You can have some of our snow. It just snowed again! I love how you put together your outfit. And great photos. Especailly love the red coat.